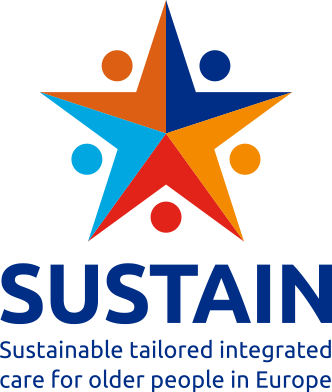 On 4th September 2017, the very first webinar of the SUSTAIN project took place with the participation of two sites, West-Friesland in the Netherlands and Sandgate in the UK. The overall goal of this webinar was to facilitate the exchange of experience, best practices and lessons learned among sites and initiatives. In this specific webinar, each of the two sites had a representative to give insight about their respective improvement plan, but who was also given the chance to answer questions the other site had on a particular topic, such as financial issues or local health and social care provision. The Netherlands and the UK found many similarities between their systems when considering the relationships between health care and social care. In both countries, the systems are organised by different organisations and work separately from each other. Therefore, when efforts are made to integrate social and health care models, the effort proves to be very challenging. Differences in processes, incompatible IT systems, and other differences account for the challenge, but each country is working to overcome their differences through collaboration on interdisciplinary teams. For example, the Netherlands have regular meetings with professionals from each field to get to know each other, learn from each other and find common ground. One concern in the UK is the protection of data and privacy. Because communication between organisations is such a large problem, protecting shared information is even more difficult. 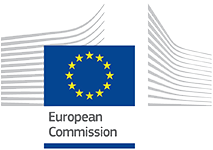 Both countries agree that legislation to create a universal IT system for all organisations would be an effective solution, as the technical differences between computer programs is one of the largest communication barriers. However, the funding for this change would be difficult to find and each organisation prefers their own method and is not immediately willing to change the system they have in place. One major difference the webinar revealed is how citizens of the UK and the Netherlands view social care. In the UK stigma may be associated with social services and the receipt of benefits. On the other hand, the Dutch social care responds to different criteria and has a different implementation system. No stigma is associated with it but there is broad consensus that social care service are not able to respond to each and every challenge and solve all the issues. Though technology is important, both organisations agreed that the greatest tool is an interpersonal relationship and sense of trust. People trust people, and a network of strong relationships will get an organisation much further than one more committed to innovative technology. Additionally, the webinar pointed out as “human relationship is something to overcome the barrier to integrated care”. In fact, human relationships build trust that derives from the sharing of the same experience. By and large, the webinar also highlighted as social and health care is more integrated in the UK than in the Netherlands. This may depend on cultural differences, such as for example that people in West-Friesland are considered to be more private about their personal problems and not as quick to seek social help. At the same time, both sites identified health care systems as more developed than social care systems. However, living long and healthy lives encompasses both social and health care, and the SUSTAIN project aims exactly to bridge this gap. Participants felt that the webinar was helpful in identifying shared challenges between the Dutch and British healthcare systems, which prove to be quite different. Despite the technical difficulties, the conversation sparked interesting comparisons and cultural considerations to keep in mind while moving forward in different SUSTAIN sites. The UK experience with professionalised voluntary carers sparked the interest of the Netherlands in such a practice. The involvement of voluntary organisations on the Sandgate site in the UK was a considerable difference from the West-Friesland site, which will be an interesting point of discussion in future webinars.